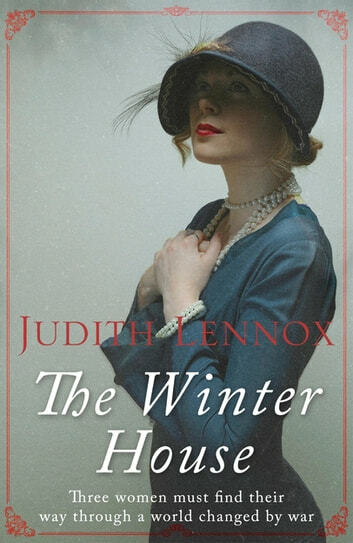 Set against a backdrop of London, Paris and the unchanging English countryside, The Winter House by Judith Lennox is a novel of rare warmth and beauty. Perfect for fans of Rachel Hore and Santa Montefiore. For three girls growing up in the Fens in the tumultuous years between the First and Second World Wars, the Winter House was a special place of refuge and friendship. Winter or summer, they would meet at the old wooden house by the waterside to confide all the secrets and heartaches of childhood and adolescence. There was Robin, idealistic and clever, destined for Cambridge; Maia, the most beautiful and ambitious of the three, looking for a rich husband; and quiet Helen, living under the seemingly benevolent tyranny of her widower father, the local vicar. Adulthood separates the three girls, and Robin, abandoning ideas of university, goes to London to work amongst the poor, meeting there her first great love, the handsome but brittle Francis. Maia's ideal marriage to a wealthy man ends in tragedy and Helen, meanwhile, kept in near-imprisonment by her obsessively protective father, has her very sanity threatened. Amid political and social upheaval, these three women must find their way in a world changed for ever.